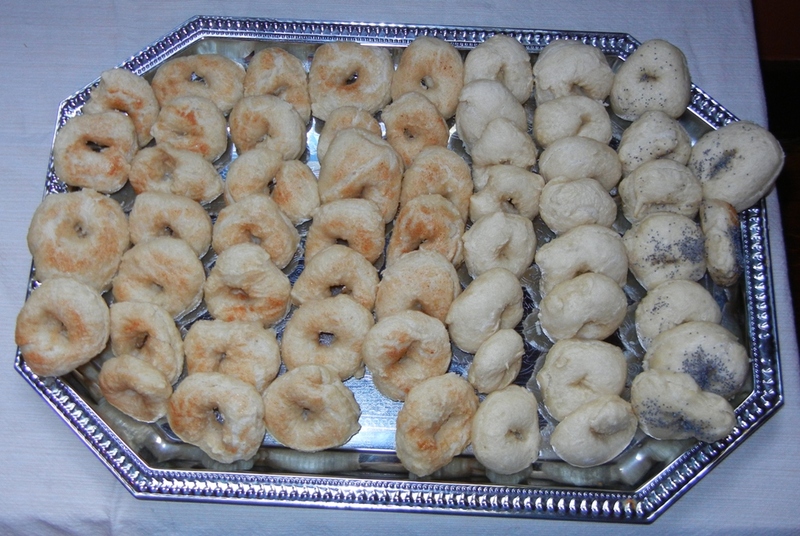 Mini Bagels – I made plain, cinnamon sugar, a few poppy and salt. I found this recipe a few years ago. It is very popular with my guests. The kids at the party loved the mini bagels. 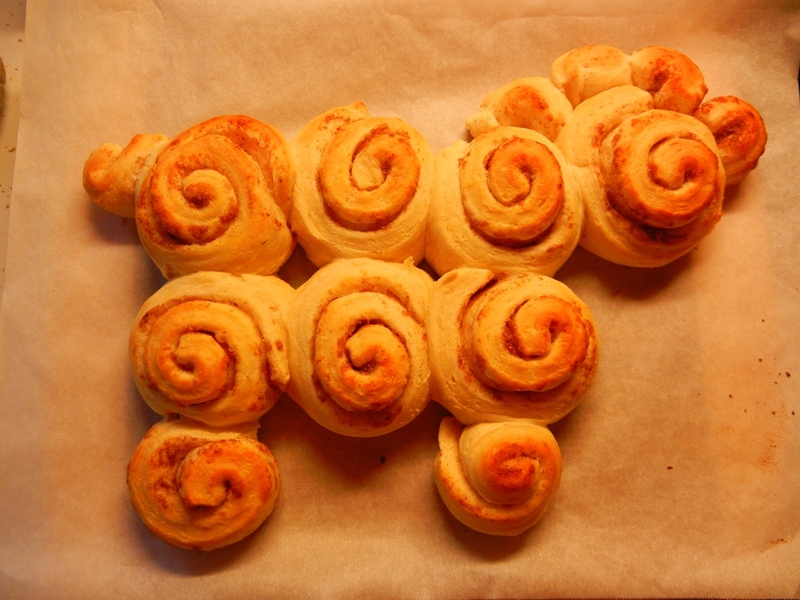 Sheep Shaped Orange Sweet Rolls – Originally I was going to make the sweet roll sheep from scratch. I even did a test a few days before the party. But the night before I decided to just use Pillsbury’s Orange Sweet Rolls. We used two cans and made the sheep and had some extra sweet rolls. It was easy and the kids loved it. I scoured the internet for ideas on how to shape bread into sheep. I was influenced by this and this. This photo is taken before the glaze and eyes. I find it difficult to get good photos during a party. But you get the idea. 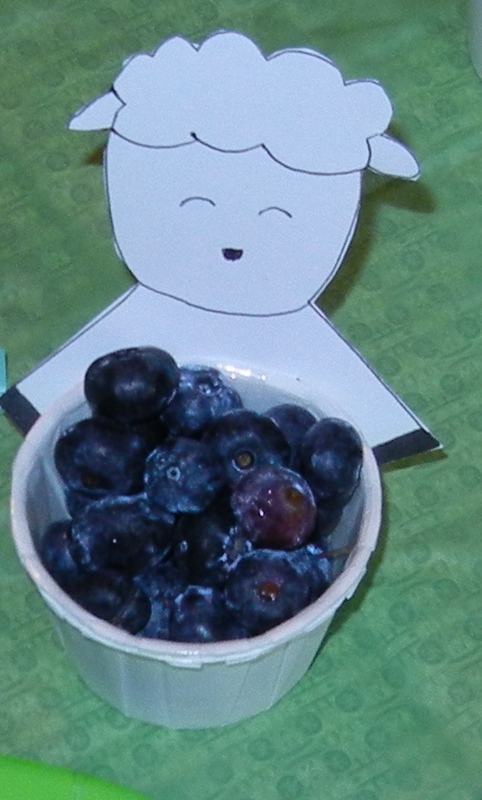 Snail Fruit (I often draw a snail with my cartoon sheep so I wanted to include a snail in the menu) – As you can see from the photo I did a simple version of the snail I found on this site. 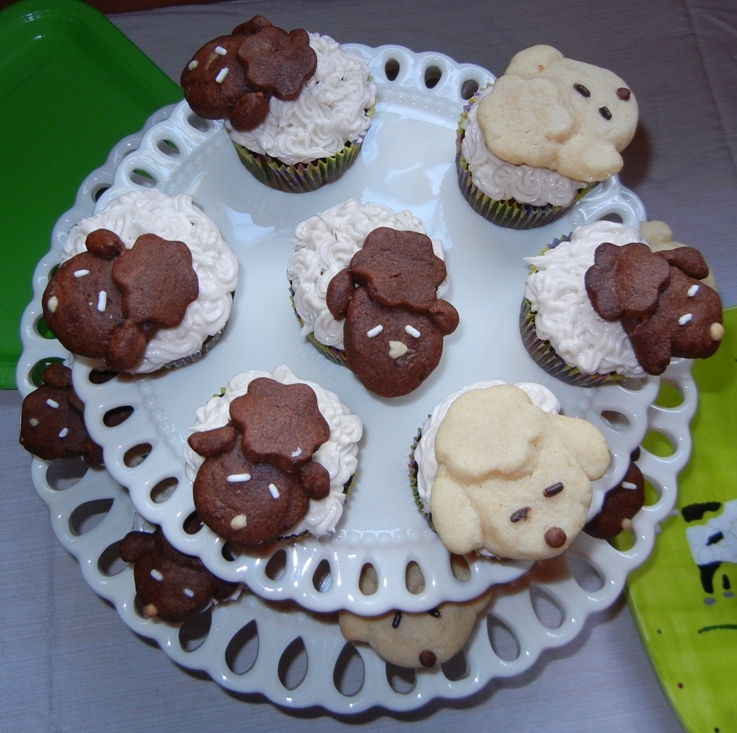 Sheep Cupcakes – I knew that I wanted to make sheep cupcakes. Again I searched the internet to learn from others. A Google image search for “sheep cupcake” provided many ideas. This was my inspiration (scroll down to individual cupcakes on plate). I made a cookie to resemble my cartoon sheep. A mini flower cookie cutter worked great for the head. The recipe is for chocolate and vanilla Teddy Bears from the 11/19/96 Family Circle magazine that I cut out. I have made the teddy bears many times with kids. I could not find the recipe online. The sheep cookies are too large and my piping skills are lacking but the kids did not complain and in general I am pleased. This entry was posted in Crafts, Food, Party Planning and tagged food, lamb, sheep. Bookmark the permalink. The food looks great – I love the cupcake sheep, they are so cute. 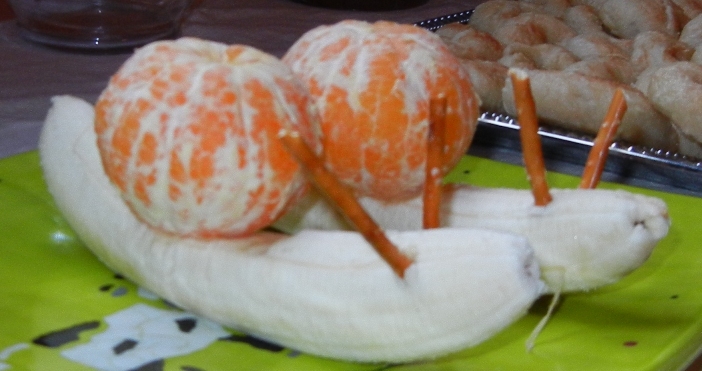 The fruit snails are a fun idea too. So creative- especially the snail. I don’t know how you do it!